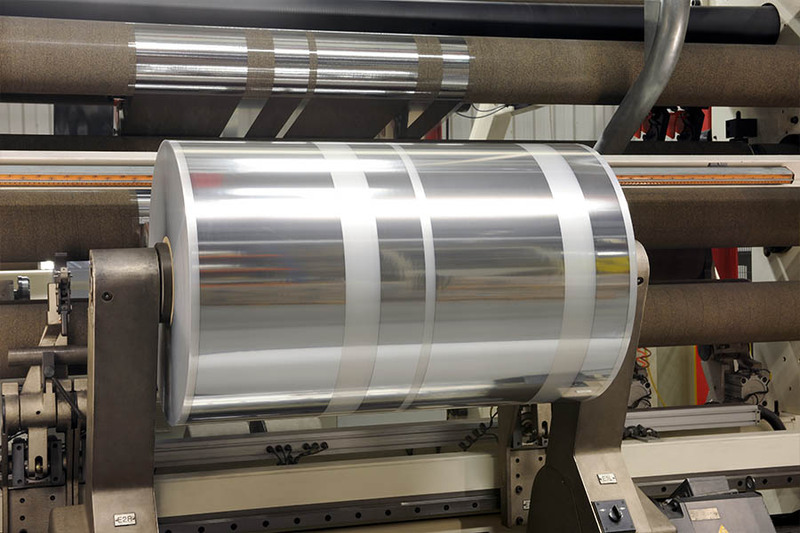 Ultimet Films Limited is able to provide selective metallisation and can assist customers across a varied spectrum of requirements. As well as being able to stripe metallise we also have extensive experience of pattern/print metallising and can execute this expertise within our vacuum chamber system. Our knowledge within this sector has been acquired since 2000 and continually refined to produce successful solutions across a range of applications. This expertise and innovation has proved to be of particular interest within the decorative and security markets. Plates can be manufactured for a minimal investment to demonstrate the quality of the de-metallised images. The process is excellent at producing high quality fine images within intricate applications (circuits, sensors, antenna for example). We look forward to hearing from you so that we may discuss your specific requirements in more detail.